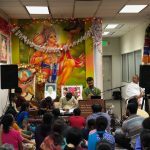 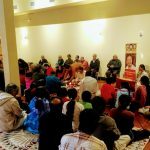 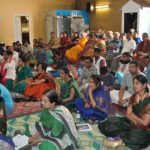 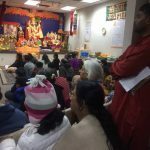 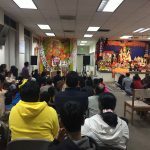 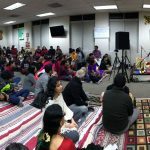 Sri Ramanujamji delivered a lecture on the greatness of Mahamantra followed by Mass Prayer on Saturday, January 14 2017 from 7 to 8:30pm at Sankata Maochana Hanuman Temple in Newark, CA. 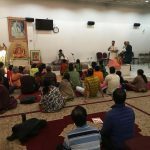 Over 100 devotees took part in this special satsang on the auspicious day of Sankaranthi. 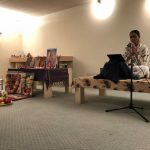 Sri Ramanujamji beautifully explained what real prarthana is and how important is Faith and Gratitude in a Prarthana. 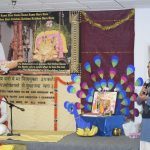 He also talked about how one should perform a prayer and explained Kunti’s Stuthi in detail. 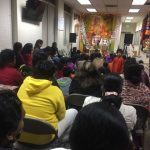 He explained how Kunti does a moving prayer to the Lord overwhelmed by the Lord’s constant compassion on her family. 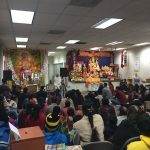 He also beautifully explained how Kunti Stuthi is a thanksgiving for all that God has done for her and an unique prayer from her to be blessed with more difficulties and hurdles as Krishna is always by her side in times of strife. 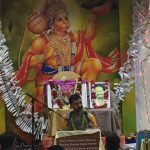 Sri Ramanujamji then led the grand Mass Prayer where everyone chanted the Mahamantra with their prayers in their heart. 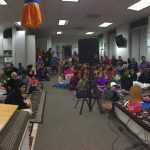 Both children and adult chanted the Mahamantra alike with awe and reverence. 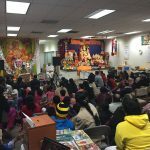 The temple management has invited Bay Area GOD Chapter to conduct Srimad Bhagavata Saptaham at the temple premises led by Sri Ramanujamji.